White paper series shares financial insights and best practices with our customers and colleagues. White paper series shares financial insights and best practices with our female customers and colleagues. 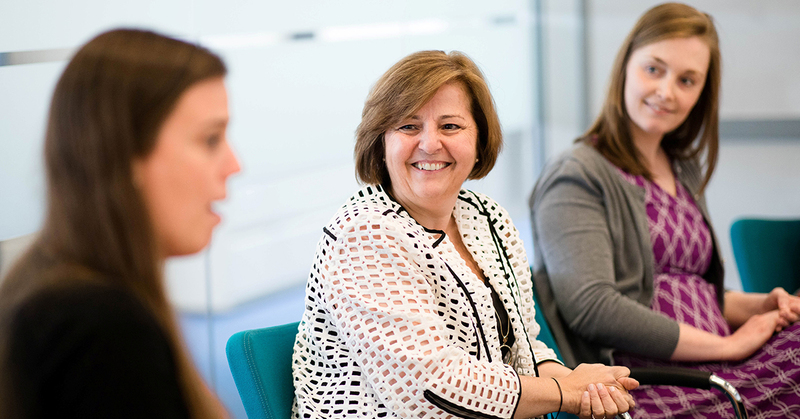 Maggie Wall, Head of our Premier Advisory Program and the Citizens Bank Women’s Impact Network (WIN) Business Resource Group are on a journey to help women customers and colleagues take control of their financial futures. To support this effort, they are releasing a series of white papers throughout the year that share insights, best practices and financial tools to help simplify, balance and empower the lives of women. The white papers will provide a female point of view on important topics, like investing, entrepreneurship, diversity, and time management in an easy-to-read format. Women will be able to act on, learn from and share its contents. And the papers are not just for women – everyone can benefit from reading them. We sat down with Maggie to ask her about the white papers and why she thinks the initiative is so important. What was the motivation to develop this new series and what are you hoping to accomplish? The white paper series is designed to share insights and best practices on a number of topics important to the women our bank serves. Our first paper, Women and Retirement, includes my personal experience and facts that women (and men) would appreciate knowing – a great way to share knowledge, insights on factual statistics and trends. There will be a total of five white papers in the series with all the topics chosen by WIN members who represent a microcosm of the female customer base we serve. Their voice is so important to helping us understand their perspective and to deepen and strengthen those relationships. Why is it important for Citizens to be a thought leader on topics related to diversity and inclusion? Now is the time for Citizens to demonstrate its commitment to a diverse workforce. I know the bank is committed, but does everyone? Is it perceived; is it top of mind? We need to walk the talk and visibly show how we are thinking about diversity and responding to it – by building a diverse and inclusive community and making exponential progress on what we say we were going to do. That’s what our colleagues and customers would like to see. What is your personal experience with diversity in the workplace? One of the earliest lessons I learned about diversity in the workplace is that it starts with you. I frequently tell my team, “You’re the problem, you’re the solution.” We are all responsible for creating diversity and one of the best ways to do that starts with the recruiting process. I have set the expectation with my team that they work closely with their recruiting partners to ensure a diverse candidate pool. If we all put that into practice, we could dramatically move the dial when it comes to diversity at Citizens. Why have you chosen to play a leadership role in the WIN BRG? I get a chance to pay it forward. I have experience and I want to contribute to the bank’s progress by helping to develop future leaders who can carry the torch. Being a WIN pillar lead was such an easy decision for me: of course I wanted to step up to support an effort that I am so passionate about. Learn more about life at Citizens and the ways we support the colleagues and customers we serve.